For some players, the sense of beginnings and hope is tempered by thought: Is this my last one? Players from all over the world are now deep into the daily work that defines major league spring training camps in Arizona and Florida. 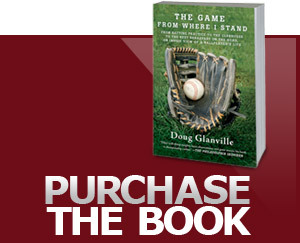 Most, undoubtedly, are still filled with that unexplainable feeling that captures baseball’s spring fever. It is in the air, in the humidity and, over time, in your bones. Your own internal barometer is telling you it’s time to play ball. But the knowledge that baseball season will start again is not free of trepidation. Pros, especially veterans, are aware that no matter how they may push science, they will inevitably be defeated by the battle of attrition that erodes skill sets and, ultimately, their value to a team. This does not happen immediately, for the early years are filled with optimism and confidence — we all are one pitch, one bloop single away from making the team. But at every spring training, players are quietly wondering if this is it, the last time they will be putting on the uniform as a professional. Beyond the shortfall of talent that may prematurely push them out of the game while still young, a few in this category are genuinely exhausted from the grind of the road, the off-season surgeries, the missed birthday parties, the flowers they had to send in their place to the funeral of a friend. But many have been sliding into home for a long time, the last 90 feet telling them that it is the only destination — a final career resting place where they both score and expire. My own slide into home started when I was running to first base, in Texas in 2003. I felt a pop, my strides became irregular, and I was helped off the field in my first major league trip to the injured list as a 32-year-old veteran outfielder. Speed was my game, so this was a bigger deal than when, for instance, the Seattle Mariners’ star hitter Edgar Martinez (now a newly minted Hall of Famer) popped a hamstring. In my case, my resulting torn hamstring tendon compromised all aspects of my game as a base-stealing, contact-hitting defender. I would come back after surgery, close to new. But to perform as if I was new required hours of pre-game rituals, bearable when I was still a starter, less so when my job was to pinch-hit off a nasty closer or spot-start against an ace. By the season after surgery, I knew I would not be able to match my National League-leading 678 at-bats in 1998. My body could not take it, even with the training and pre-game routine. It was the new normal. The days of Wiffle ball in front of my parents’ house, when no stretching was required, had faded to memory. Using the telephone pole and the lamppost as foul territory markers (while denoting the electrical wire above the sidewalk as “interference”) felt further away because only my mind and soul could reach that place, not my body. I had to stretch, and often, just to step into the batter’s box. When I came into the Yankees’ spring training in 2005, I had already started smelling the roses. Getting autographs from opponents, taking pictures with teammates, collecting archives and old newspaper clippings were now as much a part of my routine as getting ultrasounds on my hamstring. I had to start thinking about the children I didn’t have, the memories that would someday be jarred to life by a memento. It was the first time I understood what it meant to simultaneously be present and watch a personal future dim, while collecting what had been. Photo Caption: Spring training can be filled with optimism and trepidation.